Lack of time. It’s high on the list of challenges that veterinarians and their staff face each day. And, although it’s frustrating when complications from treating a pet disrupts your schedule, wasting time on simple office tasks is worse. So, give yourself and your clients a few more minutes instead. There are dozens of office tasks that by themselves take very little time. 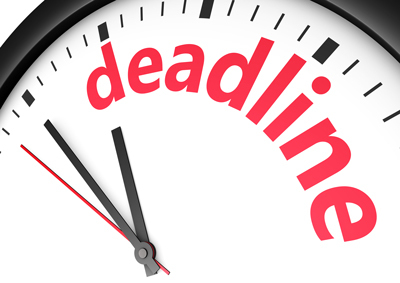 For example, ordering supplies, using the printer or applying labels to files, medications or examination records only take a few seconds each. But, when multiplying those seconds by the dozens of times each day your staff engages in that activity, it can add up to real time. Furthermore, that time expands significantly when the printer jams, labels fall off or the item you ordered doesn’t work as expected. So, avoid unnecessary problems by using these time-saving tips. Maintaining a supply of labels for each format and then using the one designed for that specific application will reduce label waste and expedite the printing process. And, when possible, print each application in a batch to save time and reduce label waste. See additional label format time savers. Labels prefer San Diego. Or more accurately, the weather that San Diego is known for. Labels respond poorly to cold and dry or hot and humid conditions. In fact, using a package of labels, hot off the truck, will substantially increase the probability of jams and misprints. Avoid that problem by allowing labels to acclimate at least 24 hours in moderate temperature and humidity. Plus, take these additional steps to keep your printing trouble free. Medications often require refrigeration. But, if the label adhesive on the medication label isn’t intended for cold temperatures, then the label can fall off, creating extra work and potential patient safety issues. In addition, a label may need to withstand chemicals or water. Using the proper materials will ensure the labels don’t fall, become crinkled, unreadable or unscannable. 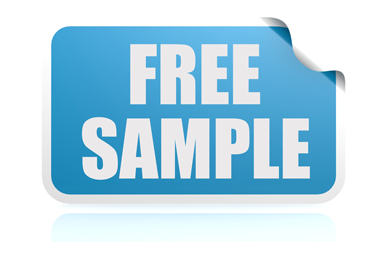 If you aren't sure about a product, want to test an adhesive or make sure the label works in a unique application, samples are the answer. It’s a great way to test and verify that the product works before placing a large or small order. 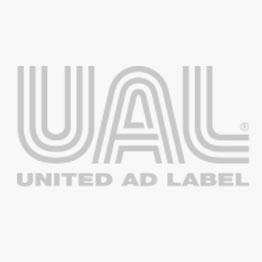 For example, UAL provides an online tool that makes sample ordering easy. Do you have an item number but don’t know the type of product or other details? You don’t have to thumb through catalogs or click through product pages on a website to figure it out. UAL maintains a cross-reference list that identifies the missing information to help you determine the right item to order. Sometimes you need a label that’s different than the one in the catalog. It may be a different size, color or contain variable information like your business address. Online custom label builder tools use both pre-set templates and free-form generic shapes to provide a wide range of label options. These tools are simple to use and cost effective. However, if you prefer to discuss your custom label questions with an actual person, some organizations provide that live label expert support. For example, the UAL customer service team can answer questions, guide you through the process and even design, price, proof and enter the order fo you. Before and after an appointment, a staff member’s role may quickly expand to include accountant, pharmacist and sales associate. Their effectiveness can impact customer satisfaction as well as the productivity and profitability of the operation. But, taking steps like installing a new roll of printer labels, first thing in the morning, will help you avoid running out in the middle of a client rush. Here are additional steps you can take. The sticker in the upper left-hand corner of our windshield reminds us when to change our oil. Without it, most of us would forget. Although your supplies cabinet provides a more visible reminder, keeping labels in stock likely isn’t your first priority. So, UAL developed a program that estimates label usage based on various veterinary practice data points. This trigger program provides order reminders to ensure you have the products that you need when you need them. Amazon programmed consumers to expect shipments in a day or two. But, it doesn’t work that way for all companies. Depending upon the distribution point, your location and the suppliers’ reliability, shipping time varies. So, to get your labels when you need them, verify the labels are in stock and use sources that provide quick reliable deliveries across the country. 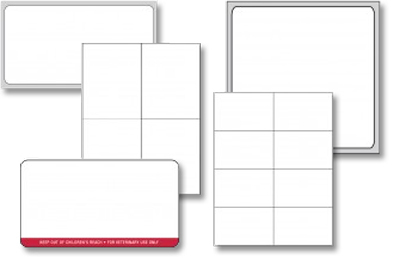 Labels and other office products are a necessity for your practice. And, although they may cost substantially less than exam room or laboratory equipment, when they don’t work correctly, it costs you time, money and can impact patient safety. United Ad Label produces labels designed for your veterinary-specific applications. You can see our entire selection of products on our website or if a catalog works better, please request one here.